The Bold... are you excited? T-Mobile has announced it will begin offering the BlackBerry Bold in the UK from September. 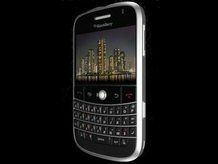 The Bold is set to be Research in Motion (RIM)'s biggest handset to date, being the first BlackBerry with 3G HSDPA support, allowing faster internet browsing and all the usual downloading bells and whistles. The UK version includes 1GB of storage on the handset, with a microSD slot for adding that little bit more. The Bold will be able to handle memory cards up to 8GB via SDHC, but T-Mobile says it should work with the 16GB versions when they hit the shops soon. RIM is keen for you to pack more memory in, as it wants the handset to break its 'business-only' label and become a more 'pleasure-friendly' media device too. However, T-Mobile clearly isn't ready for it to switch camps yet, by offering it to all Business 1-Plan customers, which offers flexibility in texts, calls, data and international calling. See our TechRadar preview of the device to truly find out why this is BlackBerry's answer to the iPhone.